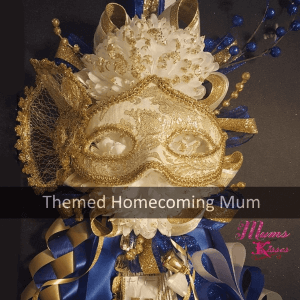 Looking for Homecoming Mums Near Me? We are just what you’re looking for! 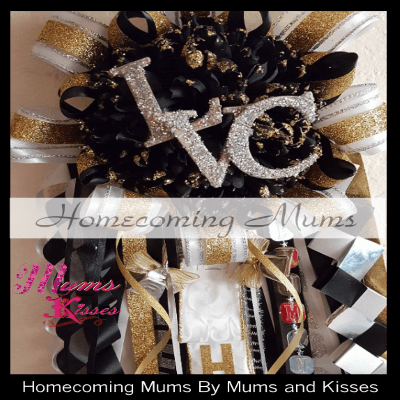 We make homecoming mums for every state in the U.S. And best of All we ship for free.We offer keepsake quality Mums for Homecoming, Baby Showers, Class Reunions Mums, Graduation Mums and Funeral Mums. 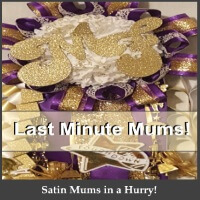 We’ve made mums for the Dallas Cowboys and Celebrity Actresses too. You can order all online without forms or deposits too. 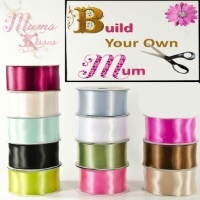 Using 100% double faced Satin non acetate ribbon, we’ve grown to the top of the industry for keepsake homecoming mums. Best of all, they’re all unique, not one mum is ever the same. You won’t see your twin walking around school with your mum on, nope! We are a SquareUp trusted Ecommerce store and a member of the SBA. We’re easy to contact online or via phone as well. If You’re Looking For “Homecoming Mums Near Me”, we ship Free! You can’t get any nearer than that! And Free is good! No standing in line at the craft store, no deadlines, no deposits.